How can we change our luck? Let’s look at 10 bow hunting tips you can use to increase you luck this hunting season. I’ll tell you right now that most shooting problems I see are one or more of three factors: shooting too long of a draw length, locking the left arm while shooting, and the most common form flaw of all, an improper grip. 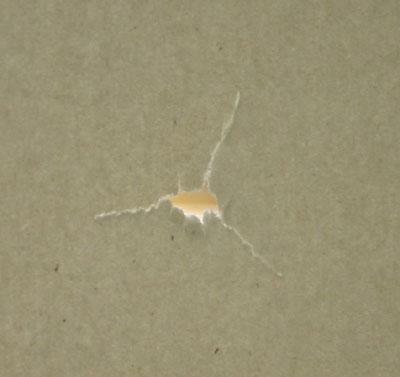 If your 20 yard group looks like a shotgun’s pattern (all over the place), try to shoot with proper archery form. Read our section on proper archery form and get to practicing. Hit the range, have a competent person critique you, and change your form for the better! So your bow’s pins are on. Does this mean your bow is super tuned? Not necessarily. A field point allows an arrow to correct itself in flight quickly and once corrected, bows shooting field points can be fairly accurate. 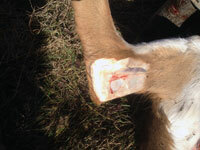 But what happens when a broadhead is attached? 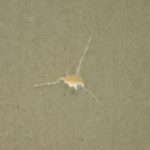 Many hunters have noticed that they have to adjust their sights for the broadheads they are shooting. Why is this? This is because the the bow may not be tuned and the arrow may not be flying as straight as it could be when it leaves the bow. Broadheads, even mechanical, catch the wind more than a field point. This slows down the arrows ability to correct itself. Depending on how the arrow leaves the bow, the arrow may still be porpoising or fishtailing when it hits its target. When an arrow’s nock end is out of line with the broadhead at the point of impact, valuable kinetic energy “twangs” out of the arrow as it fights to penetrate the animal. 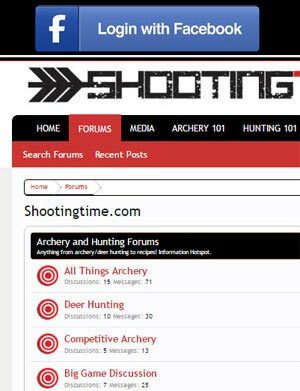 This is why some hunters just cant seem to get a pass through even with today’s bows. Your arrow needs to be flying perfect for maximum passthrough potential. How do we fix this? Tune your bow according to our bow tuning timeline. After properly setting up your bow, paper tuning, walback tuning, etc. you won’t be able to blame your bow this season! If you want to be successful, study the animal you are hunting. If you know what deer are thinking or how they are going to behave in certain situations, you will have the advantage. Learning from other hunters is also an excellent way to develop strategies that have already been proven in the field. Look up some books like “Mapping Trophy Whitetails” or “Strategies for Whitetail Deer Hunting” if you really want to excel in the field. Get yourself in a life like hunting situation at a challenging 3D course. Not only is it good exercise during the offseason, its a great way to work on yardage guesstimating and delivering a shot that counts. Convince yourself that each shot is that one big shot that you have been waiting for. Good 3D courses will also open your eyes to how incline and decline shots can send your arrow off its mark if you’re not shooting properly. Practice makes perfect! Embrace technology and get that bird’s eye view of lands that you hunt or could hunt. 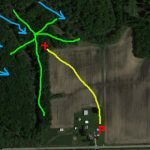 Google Earth allows you to zoom in on very detailed imagery and will help you pick strategic spots to put up a treestand. Here’s something you may not know, when zoomed in you can even see deer trails in fields. How’s that for scouting from your computer chair. Visit our page on Google Earth for more info. Don’t wait til the last minute to scout your spots. Nothing puts deer on alert like a bunch of hunters doing a lot of last minute scouting right before the season starts. Start in August by glassing fields and putting up a few trail cams on the perimeter of your hunting spot. Once you’ve located the deer, move in, put up your stand, clear your lanes, and relocate your cameras at the treestand sight. A couple weeks before the season, retrieve the cards from the cameras. The pictures on the cards will tell you where to hunt. Now that you have an idea on what stands will produce, don’t mess it up by hunting them with bad winds. The whitetail deer has over 200 million scent receptors. If you think you’re going to fool a mature whitetail with the wrong wind, guess again. Hunt smart. Hunt with the right wind. Check out our section on scent control for more info. The tarsal gland scent, hands down, is the best attractant we have ever used. Last year, my brother had 9 deer in one evening walk right past Code Blue doe in estrous just to get to his mock scrape and the tarsal juice he sprayed on it. This stuff works. Read more about it on our tarsal gland page. If you took a detailed hunting log last year like you’re supposed to, then you have some info to revisit before planning this year’s hunts. Which stands saw the most action? Which stands produced more deer with certain winds or temperatures? After locating common success factors from last year, you’ll increase your odds this year by choosing the right stand to hunt. Whether its due to the fact that the big bucks are really active at night, sleep and get up midday for feeding/browsing or because deer know when hunters are in the field (mornings and afternoons), midday hunting has proven to take some giants. From my and my brothers experiences, between 10:30 and noon has been a great time to be in the tree. 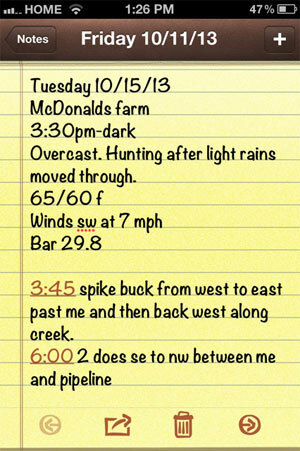 I have even met some accomplished hunters who only hunt between 9:30 and 2:00 during the rut. Try staying in the tree longer to see if its a difference maker in this year’s hunts. I hope these bow hunting tips make a difference for you guys this year. 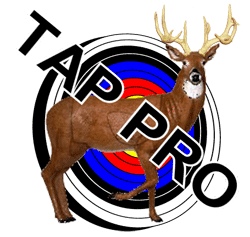 For a great look at the best collection of archery tips known to man, visit our 77 Archery Tips page; you’ll be glad you did. Good luck and happy hunting! Great tips! Hunting with poor form can mess up any hunting trip, so having an adequate amount of training to hone accuracy and form will make a huge difference in your hunting success rates. Thanks for sharing. I am just getting into backpack hunting and find this extremely valuable. Thanks for putting together and for taking the time to provide such a great post!